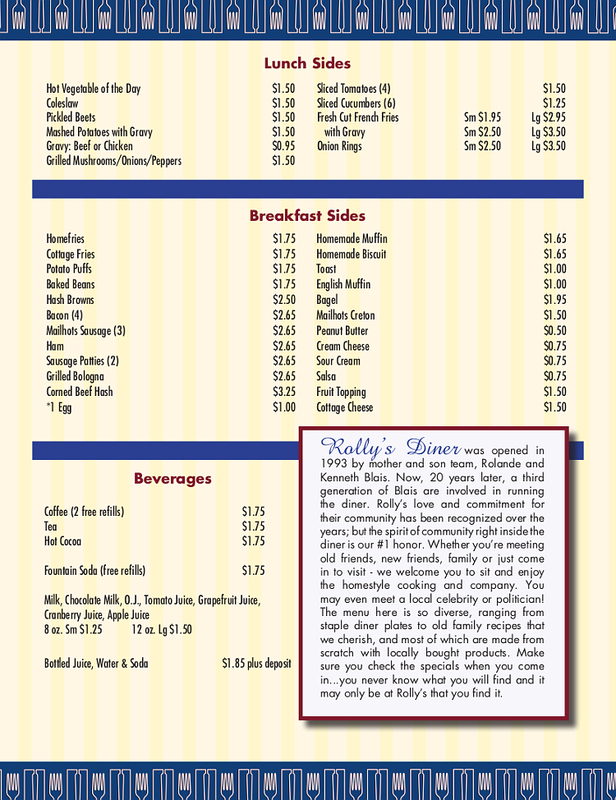 Rollys Diner in Auburn Maine is your place for Breakfast all day. 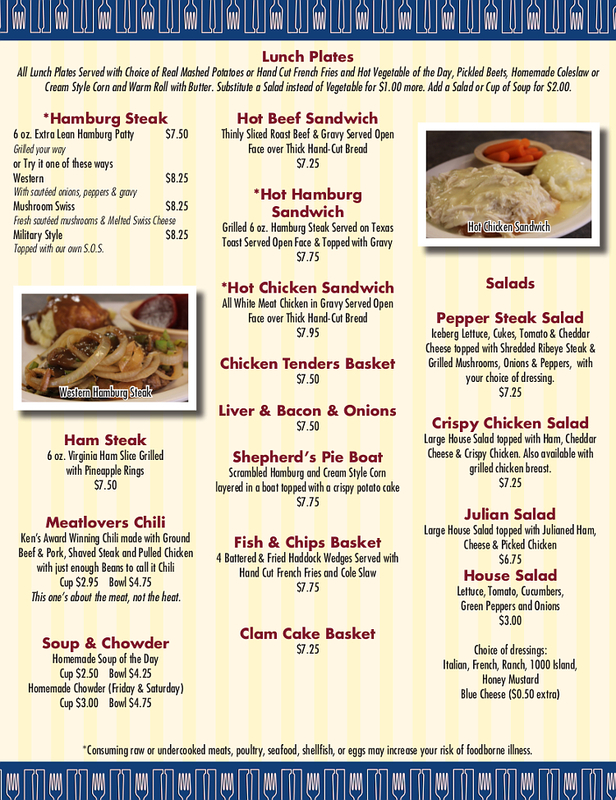 Our Specialty – Good cooking & Plenty of it. 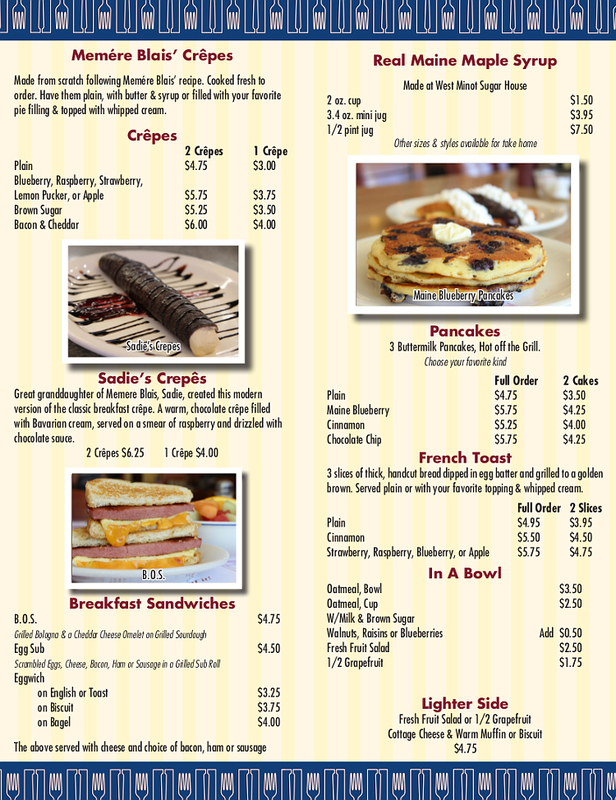 Enjoy Crepes, Pancakes, eggs, omelets and other delicious breakfast items at our restaurant …including Creton! 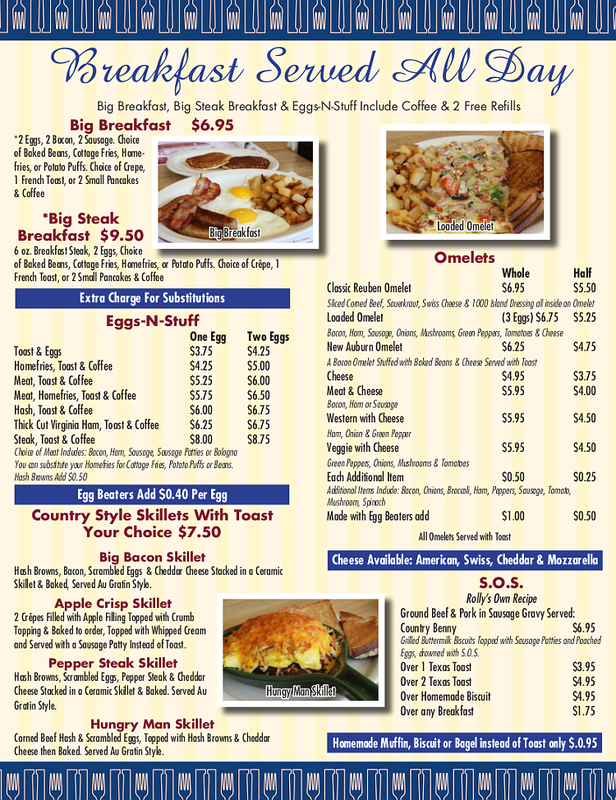 Breakfast is served all hours of the day and we also have lunch items available like sandwiches, burgers, chicken tenders and more. 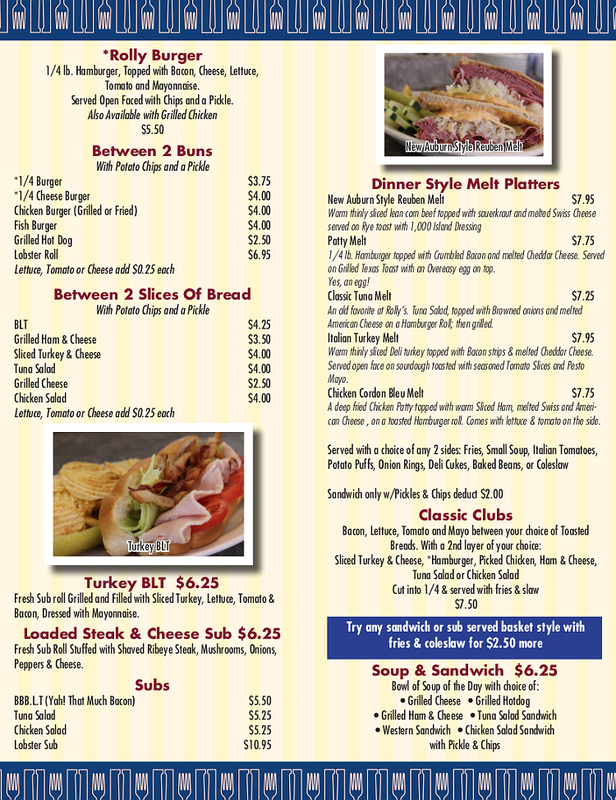 Check out our menu and stop by Rolly’s Diner in New Auburn for your next delicious meal. We're from out of state visiting family. Decided to stop in this little restaurant. Sure glad we did. I ordered a steak skillet and my wife western omelette. Looked like a professional prepared our meals. Tasted like it too. Great service. Great food. Great prices. If i could rate it higher I would. I think we found our place when we're in town!